I sell some of my pieces at the Brocante Vintage Market here in St. Petersburg, Florida. Some of us Brocanteurs (as we call ourselves) were speculating that it seemed whatever teal pieces came to the market sold pretty much right away. In order to try out that theory, I bought this piece. Made by Drexel around 1970 from their Esperanto line, it was in pretty good condition, but dull, brown oak, which, as you know, I am not fond of. I thought it was perfect for a teal makeover. 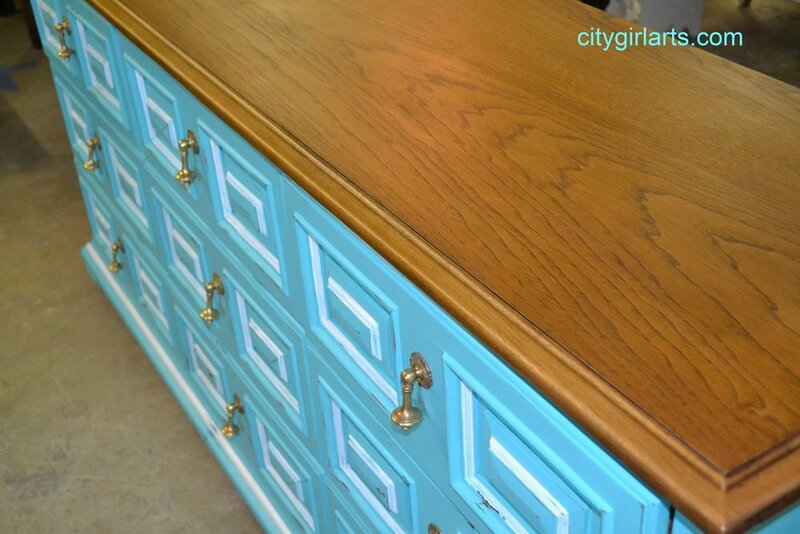 The top was practically pristine, so I chose to temper the very bright teal with a refinished wood top. I toned the teal down just slightly with some stain wiped on and then off. 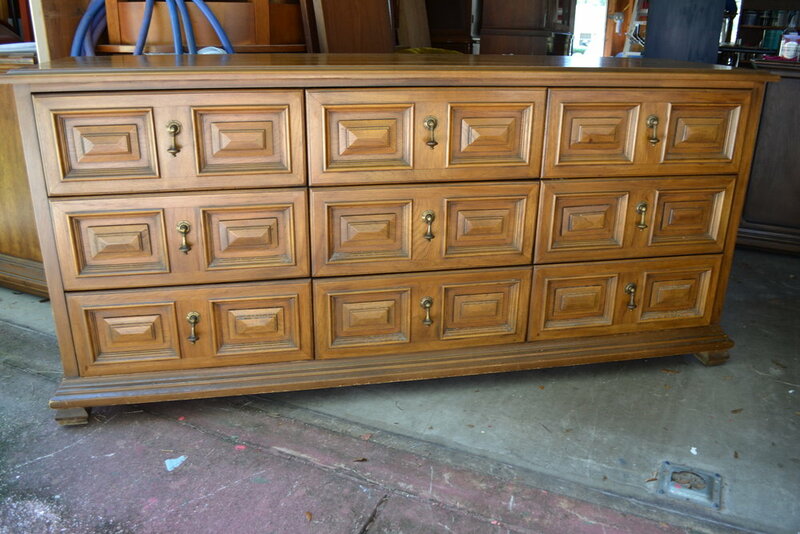 The pretty, solid brass drop pulls polished up beautifully, and the white trim defined the carved wood on the drawers. A little distressing gave it even more interest. Not surprisingly, it did not hang around long. 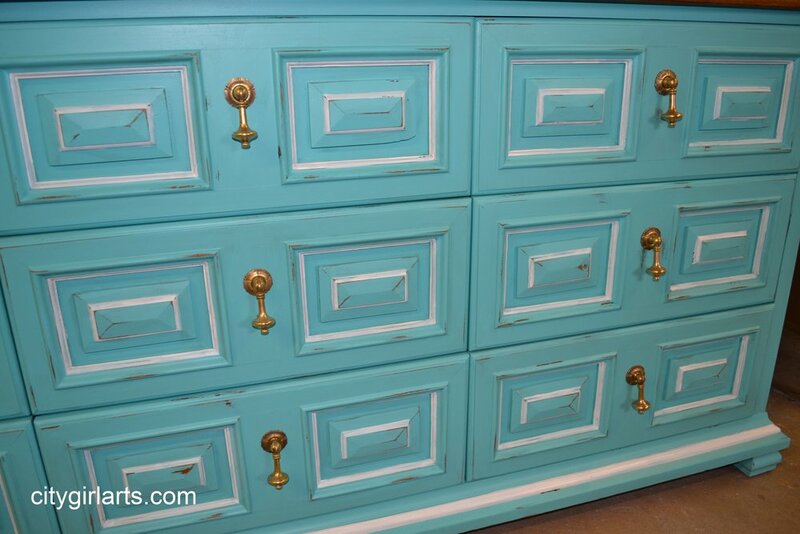 Another teal dresser quickly found a home! Follow my adventures on facebook! See my other pieces in my Etsy shop.